Located in the county of Devonshire on the River Exe, Exeter is a popular destination thanks to its rich history, shopping opportunities and cultural attractions. The town centre is quite small so you can easily see all the sights by foot. 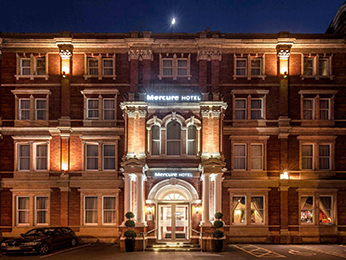 Our hotels in Exeter are centrally located – the Mercure Exeter Rougemont Hotel is an elegant Victorian hotel in the heart of the city, right by Exeter Castle and St David’s Church. Our other hotel is the Mercure Exeter Southgate Hotel, located a few streets south and boasting excellent views of Exeter Cathedral. Both 4-star hotels are within easy reach of Exeter’s popular Princesshay Shopping Centre, where you can stock up on both high street and big name brands. Exeter Guildhall, which is thought to be the oldest municipal building in England, is between the two Mercure hotels, as are the Exeter Underground Passages, a fascinating tour that takes you down to the medieval subterranean water passageways. As with all our Mercure hotels, you’ll be treated to first class service, personalised check-in, and stylish rooms fitted with the latest amenities. 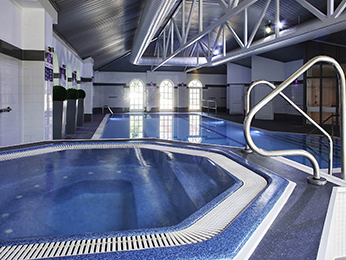 Our Southgate hotel also features a luxury 15m swimming pool, fitness centre, Swedish spa and Jacuzzi. Both Rougemont and Southgate hotels are the perfect base to explore all that Exeter has to offer – make sure you visit the Exeter Cathedral and Cathedral Green, squeeze down the world’s narrowest street at Parliament Street, and walk around Rougement Castle to see the Norman ruins.